For the set-up we decided to use a standard 100 mL glass beaker that we had available. The 100 mL beaker has an inner diameter of approx. 1.90". 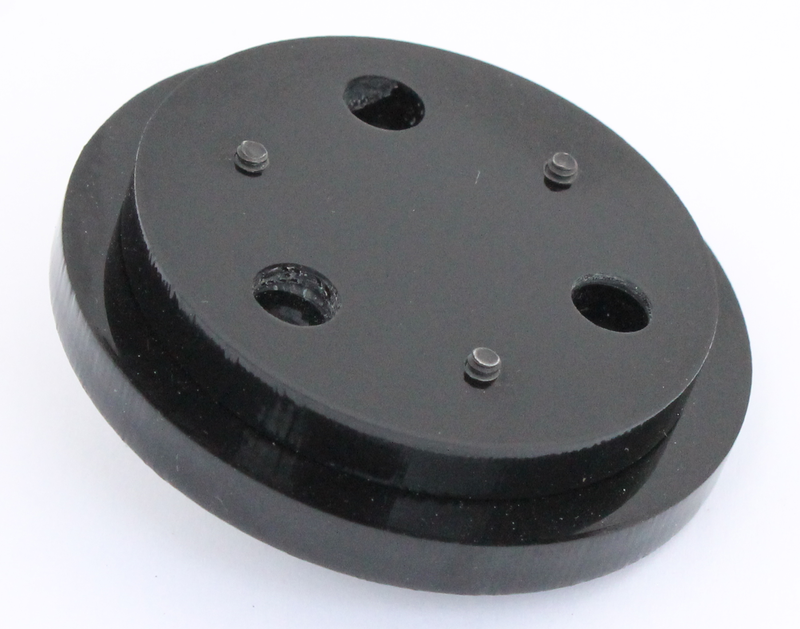 The next step was to make a custom mount for the 3 electrodes. The insulated part of the electrodes that we want to mount (where the O-ring is mounted in the image above) has an outer diameter of approx. 6.2 mm (reference and counter) or 6.4 mm (working). 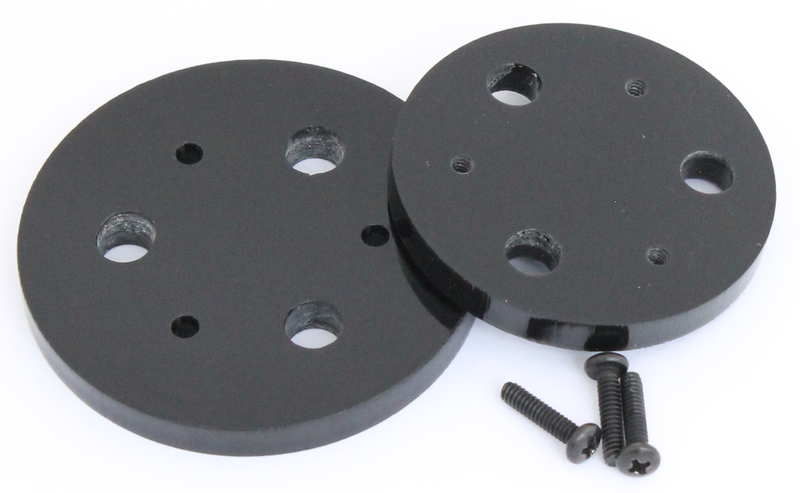 After lasercutting, the screw holes in the smaller disk were tapped with a 4-40 hand tap and the two parts assembled together using three 4-40 screws. 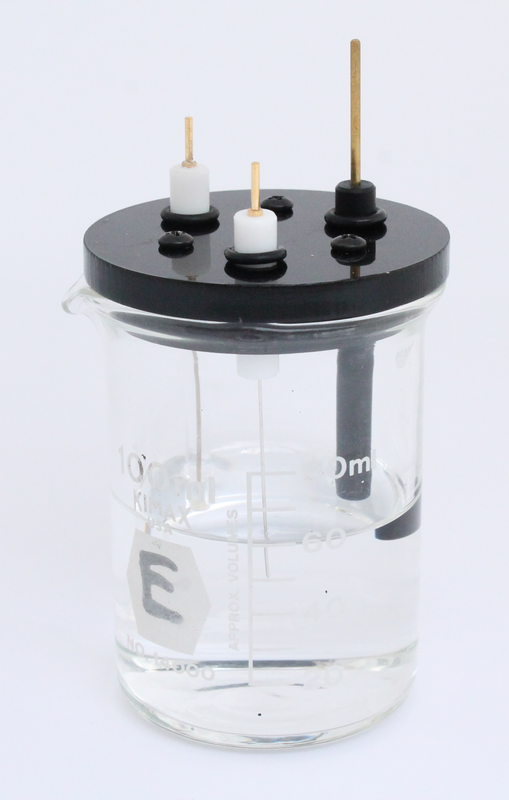 Once assembled the electrode mount fits into the 100 mL beaker as shown in the images below. For this setup, approximately 50 mL of test solution is needed for the experiments. 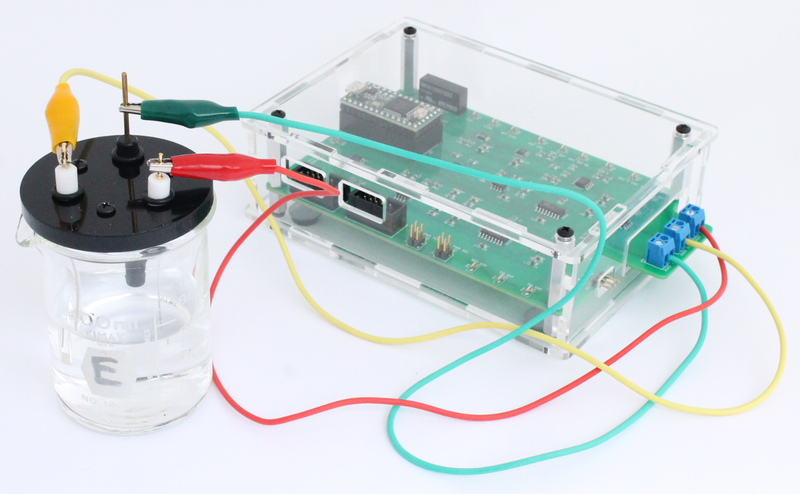 However, it should be very easy to make an electrochemical cell for testing smaller volumes using a 25 or 50 mL beaker and custom electrode mount. 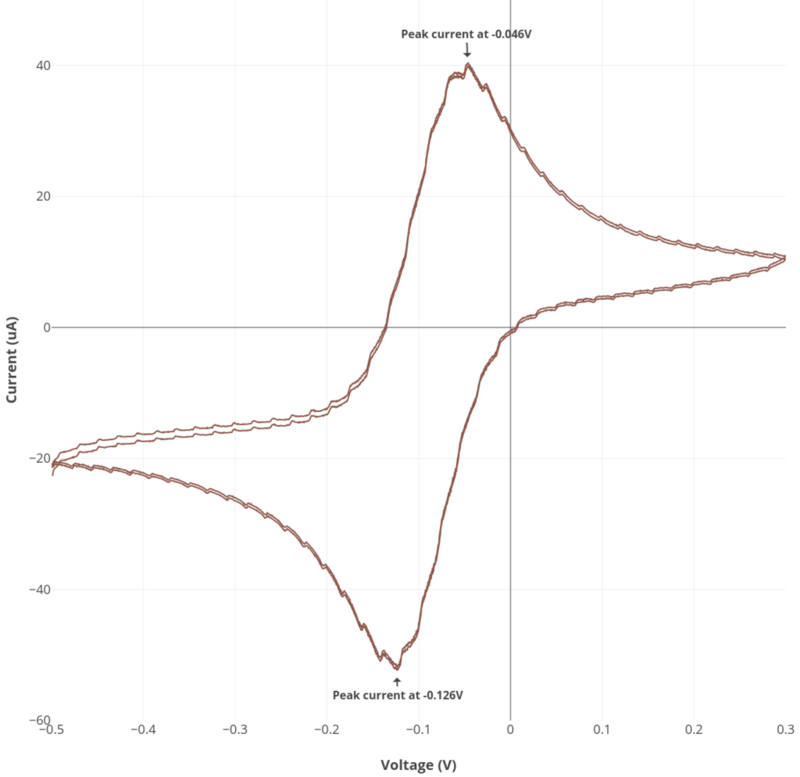 The electrochemical cell is connected to the Rodeostat using the 3 alligator cables that are included with the Rodeostat. The cables are first connected to the screw-terminal headers on the board. 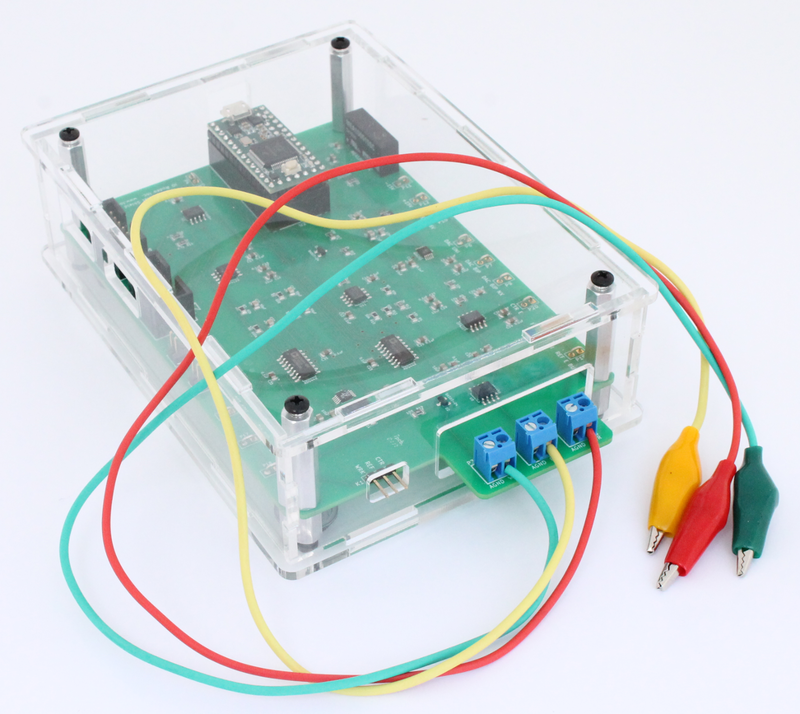 In the image below the yellow cable is the reference, red is the counter and green is the working. Next, the alligator clips are attached to the corresponding electrode. 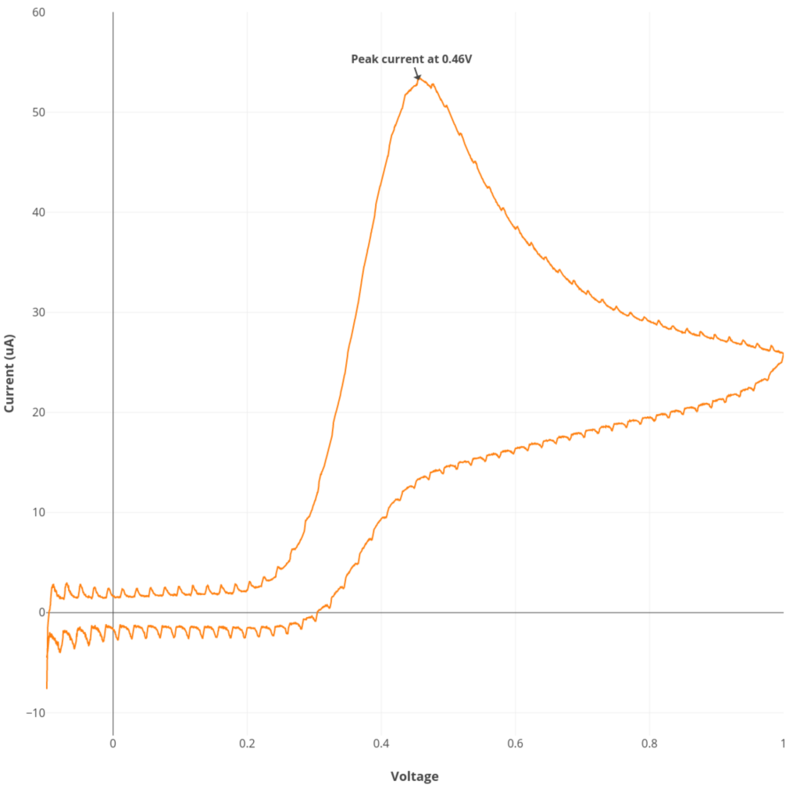 See the procedure described here for Rodeostat CV parameters and making the 6 mM ascorbate solution. Note that this experiment requires 50 mL of solution. See the procedure described here for Rodeostat CV parameters and making the ruthenium hexamine solution. Note that this experiment requires 50 mL of solution.